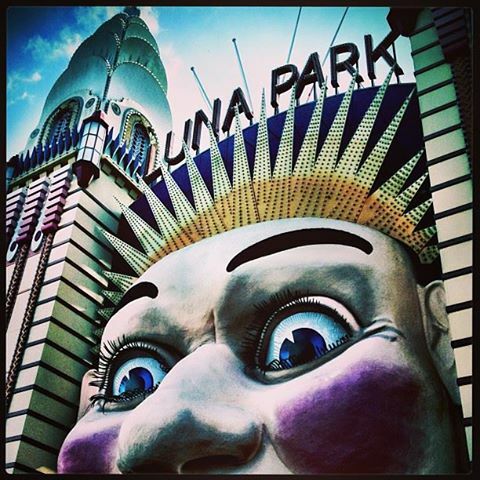 I much prefer to enjoy the vibe of Luna park like this. 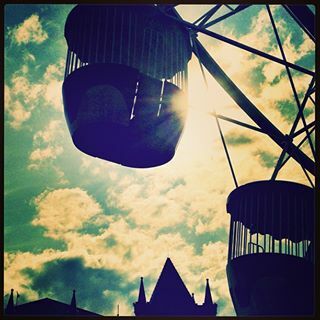 A romantic silhouette of one of life’s long-enjoyed past-times – the Ferris wheel. Beats gaping- mouthed clowns and sick-making death traps…oh sorry, rides I mean…any day. Slapped on our foreshore in its famous tacky glory, lies Sydney’s most iconic fun park. Whether by today’s standards you would call it ‘fun’ is another question but it seems to be hanging on by its clowny teeth to some sort of reputation as an exciting kids day out. In my opinion, the main entry gate would have kids running to the psychiatrist before anything else. I know if I didn’t have ‘Coulrophobia’ before now (and for those of you not up on carni lingo, that’s a clown phobia) I’m certainly one step closer after today’s walking excursion. Cheers to the cheese and the serenity. I'm in search of whimsy and the human experience.